Time required : Applicants should be available to volunteer for between 10 and 15 hours per week, spread over 2-3 days. Due to a significant part of the organisations work occurring outside normal Australian business hours (to align with international time-zones), the organisation’s regular office hours are from 9:30am to 2:30pm, Monday to Friday. 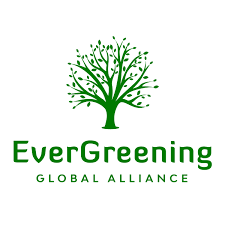 The Global EverGreening Alliance is an international NGO which coordinates the development and implementation of massive-scale environmental restoration and sustainable agricultural intensification projects in developing countries around the world. The organization was established by its members to facilitate a collaborative approach to the global problems of food insecurity, rural poverty, climate change and land degradation, and to develop and implement long-term solutions at a globally significant scale. Its core members include World Vision, Conservation International, the World Resources Institute, the World Agroforestry Centre, CARE International, Oxfam, Catholic Relief Services and The Nature Conservancy. The organization is currently undergoing a significant re-structure and expansion, which includes relocating a significant part of its secretariat from Nairobi, Kenya to Melbourne, re-building its website and establishing a cloud-based platform to support and geospatially track the progress and impact of global land restoration programs. To support this work, it is seeking a volunteer to assist in all aspects of internal and external communications – from facilitating and minuting teleconferences, to engaging media and technical focal points from key international organisations to source material for reports, newsletters, web-content, blogs and social media, to updating the structure and content of the organisation’s WordPress website. This role may lead to a permanent paid position. The Global EverGreening Alliance has zero tolerance to child abuse, and to discrimination, harassment and workplace bullying. All staff, including volunteers, are required to sign an acknowledgement and adhere strictly to the organization’s child protection and anti-bullying policies. In addition, the successful applicant will need to agree to an Australian Police Record Check and either provide or agree to apply for a Working With Children card. Please quote in application: Media and Communications Volunteer via Pro Bono Australia.